Arcade Fire politely ask you to chill. The Reflektor-ers posted a note on their Facebook late yesterday (November 20) addressing the uproar over their request that fans wear formal attire or a costume to the band's 2014 arena tour dates, and the forthright message is to, like, take a deep breath, guys. 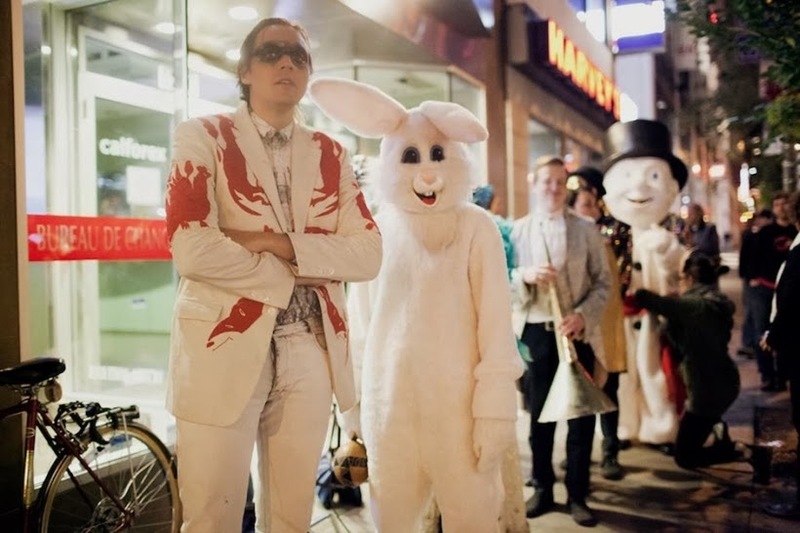 "To everyone really upset about us asking people to dress up at our shows… please relax," the band writes. "It's super not mandatory. It just makes for a more fun carnival when we are all in it together. So far these have been the best shows we have ever played." It's a message reminiscent of Frankie Goes to Hollywood, although the new-popprovocateurs' 1983 hit "Relax" had a very different context in mind. So there you have it: Dress up when you see Arcade Fire, don't dress up, don't see Arcade Fire, but whatever you do, don't waste precious moments of your finite and rapidly passing life getting upset about something that's totally voluntary and not even a big deal. While you're wearing what you want, listen to Arcade Fire's recent BBC Radio 1 performance, which could now arguably be considered chillwave.